Modern Rules for Living. There’s a few. Never let the truth get in the way of a good story. Never eat the yellow snow. And never ever pay retail. Does that mean Hannah is rocking ugly sweaters and ill-fitting pants? Of course not. Hannah who loves everything from tailored two-piece suits, to sleek leather jackets and distressed jeans, always looks good. And in the age of selfies and social media, what better way to shift perceptions about secondhand, than with some photographic proof? 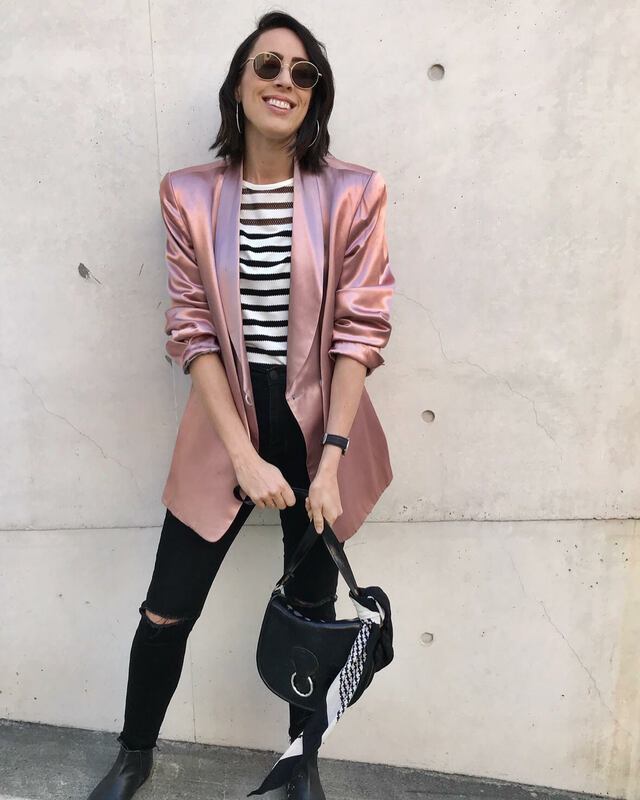 Hannah proudly posts pics of great finds and how to wear them (and rest assured, there’s not a dropped hem or taffeta sleeve to be seen on her page). And not only does Hannah know how to show her readers how to choose, style and rock some seriously great op-shop outfits for herself, she even offers a “Thriftover Service” (a 2 hour op shopping styling service) to share the love. Hannah promises to to unpack your opshop preconceptions and horror stories with the wave of a second-hand Fairy Godmother-like hand. But despite appearances, it’s not all effortless style for Hannah. She’s seen her share of odd secondhand finds, but it was one in particular that left her a little scarred and blushing “I once found a men’s g-string with a smiley face print.” But with the bad, she happily embraces the good like a $1 Levi’s Denim Jacket she got for a steal at a Garage Sale. And if you don’t know where to look, Hannah has you covered (cos thats the spectacular type of human she is). You can use the Op-shop locator to find your local haunts and if you need thrift-spiration Hannah is your girl (and she promises a 100% smiley g-string-free-space). What a gem!